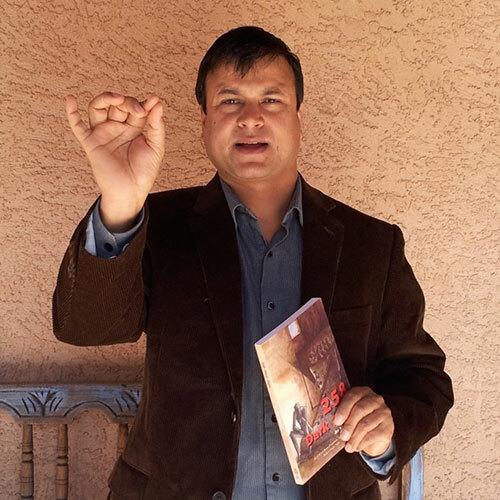 On 4 February 2004, journalist and human rights lawyer, Jit Man Basnet, was arrested by security forces in front of his home and brought to a detention camp know as Bairabnath Battalion Barracks, notorious for its implication in the arrest, illegal detention, torture, extrajudicial killing and disappearance of hundreds of persons suspected of affiliation with the Maoists. Detained in inhuman conditions for 258 days, blindfolded, handcuffed, and tortured extensively, he was finally released on 18 October 2004, forced to sign a false confession and papers stating that he had only been detained for a limited period of 90 days, and strictly forbidden to disclose the existence of the facility in which he was held. A habeas corpus writ was filed with the Supreme Court requesting the authorities to disclose Jit Man Basnet’s place of detention and release him, but the Royal Nepalese Army denied claims that he was being held in military detention. Jit Man Basnet’s cousin, Top Bahadur Basnet, submitted a request for investigation into his cousin’s disappearance to the National Human Rights Commission of Nepal (NHRC). Upon release, Jit Man Basnet filed an additional petition seeking compensation, in which the NHRC concluded that he had been illegally detained and subjected to torture. However, in January 2005, the NHRC subsequently disclosed Jit Man Basnet’s name in a report, identifying him as a source of information. As a result, Jit Man Basnet received death threats on several occasions. Subsequent petitions to the Supreme Court were dismissed or denied and his request for compensation remains unanswered. In February 2011, Jit Man Basnet and his cousin took their case to the Human Rights Committee, represented by TRIAL. The Human Rights Committee reached a decision in October 2014. It found Nepal’s detention and treatment of Jit Man Basnet, which in certain cases amounted to torture, were in violation of international law. The anguish and distress suffered by his cousin, as a result of not knowing Jit Man Basnet’s fate and whereabouts, with whom he had a very close formal and familial relationship and in taking on responsibility as the head of the family in Jit Man Basnet’s absence in certain circumstances also amounted to a violation of the prohibition of torture and ill-treatment. After his release, Jit ManBasnet wrote a book entitled: “258 Dark Days”. The book is available here. His book has subsequently inspired the film: “Badhshala”. A trailer for the film is available here. The Human Rights Committee recommended that Nepal carry out a thorough and effective investigation of the facts and prosecute and punish those responsible. It also recommended that Nepal provide adequate compensation, as well as psychological rehabilitation and medical treatment, to Jit Man Basnet and his cousin, provide appropriate measures of satisfaction and avoid similar violations in the future. In addition it is required to translate the Human Rights Committee’s decision and distribute it widely. The government has identified the Ministry of Peace and Reconstruction as the relevant authority to ‘immediately provide interim relief’. However, no compensation has been granted and the amount suggested does not commensurate the gravity of the crimes at stake. The Human Rights Committee has not received any information from the government regarding this remedy. No psychological or medical treatment has however been provided. No apology or memorial has been provided. No amendments have been made to Nepal’s domestic legal framework in an effort to criminalise enforced disappearance and torture in accordance with international standards. The Office of the Prime Minister and the Council of Ministers are said to be in charge of drafting a law to criminalise acts of enforced disappearance. A draft Bill currently pending before Parliament would criminalise torture, but is not in line with international standards. The Human Rights Committee has not received any information from the government regarding this remedy. The Government has translated the views but these have not been disseminated beyond publication on the website of the Prime Minister’s Office.